Metabolism, the Japanese architectural avant-garde movement of the 1960s, profoundly influenced contemporary architecture and urbanism. This book focuses on the Metabolists' utopian concept of the city and investigates the design and political implications of their visionary planning in the postwar society. At the root of the group's urban utopias was a particular biotechical notion of the city as an organic process. It stood in opposition to the Modernist view of city design and led to such radical design concepts as marine civilization and artificial terrains, which embodied the metabolists' ideals of social change. 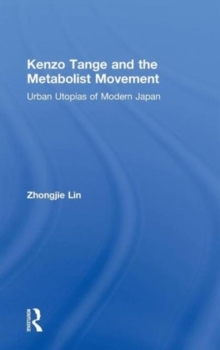 Tracing the evolution of Metabolism from its inception at the 1960 World Design Conference to its spectacular swansong at the Osaka World Exposition in 1970, this book situates Metabolism in the context of Japan's mass urban reconstruction, economic miracle, and socio-political reorientation. This new study will interest architectural and urban historians, architects and all those interested in avant-garde design and Japanese architecture.